GIM- это популярный редактор изображений с широким функционалом на www.saitsofta.com, который решает множества задач, таких как: масштабирование и кадрирование фотографий, объединение и создание изображений, логотипов, комбинирование изображений с использованием слоев, раскраска, ретуширование и преобразование изображений в различные форматы, пакетная обработка и другое. Функции GIMP можно расширить с помощью различных дополнений, а передовой интерфейс для программирования позволяет легко автоматизировать выполнение любых задач. GIMP является одним из первых приложений подобного класса, которое распространяется с открытым исходным кодом. - Discard fonts which fail to load and popup an info dialog to allow people debug their fonts. - New API to suppress updates in UI until plug-ins are done introducing changes. - New API to calculate histograms in separate threads, with possible further extension to handle similar cases elsewhere in GIMP. - Tool options are now properly saved and reloaded per-device at startup. - Single-window screenshots in Windows fixed to correctly snap a window even when it is partly off-screen or covered by another window or when display scaling is not set to 100%. - Warn users, when alpha-only painting has no effect. E.g. when target drawable doesn't have an alpha channel, or the alpha channel is locked. - Make sure that clicking outside any selection prevents Rectangle Select and Ellipse Select tools from creating empty selections. - Improve mouse wheel zooming behavior to keep the same point centered under the pointer even if the image is completely visible in the canvas. - Add "View -> Center Image in Window" (Shift+J) as a quick way to center the image at any zoom level. - Updated translations: Catalan, Danish, Dutch, French, German, Greek, Hungarian, Icelandic, Italian, Latvian, Polish, Russian, Spanish, Swedish, Ukrainian. - Add a --with-bug-report-url configure option allowing packagers to set the address of their own bug tracker. This address will be the one opened by the debug dialog for reporting bugs. - Add a --with-icc-directory configure option to customize the color profile directory. By default, it is set to the common path /usr/share/color/icc. 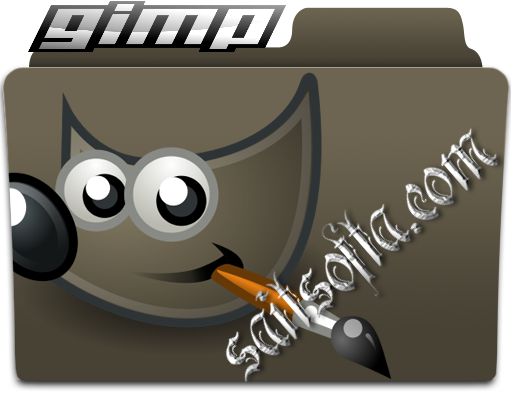 - Updating the description of the XCF format "devel-docs/xcf.txt", for third-party readers wishing to support GIMP 2.10 XCF files. - Add documentation skeletons for all enums in libgimpbase/, there is much room for improvement.